San Diego, March 23, 2018 – PBS NewsHour aired the first of a two-part series tonight on the Bermuda 100 Challenge, a joint initiative between the University of California San Diego’s Cultural Heritage Engineering Initiative (CHEI), the Bermuda Government’s Marine Heritage Section of the Department of Environment and Natural Resources and Look Bermuda. The second part in the series, which will heavily feature QI technologies, airs tomorrow night at 7 p.m. on San Diego’s KPBS and at 6 p.m. on KPBS2. Watch the first part of the series here. The chief aim of the Bermuda 100 project is to document 100 or more historic shipwrecks and distinct natural habitats in the waters surrounding Bermuda to promote conservation efforts and open the sites to both real and ‘virtual’ tourism from interested students, researchers and travelers from around the world. PBS News Hour’s Senior Correspondent & Chief Arts Correspondent Jeffrey Brown and his team spent a day at the Qualcomm Institute (QI), where CHEI is based, with the project’s principal investigator, Structural Engineering Professor and CHEI Director Falko Kuester, as well as CHEI Development Engineers Vid Petrovic and Eric Lo. 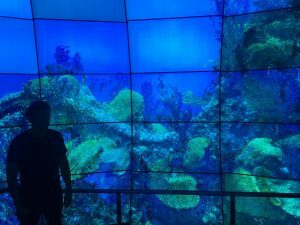 While there, Brown was able to view the shipwrecks and related artifacts on QI’s suite of ultra high-resolution displays, including the Vroom display wall, the WAVE and the SunCAVE virtual reality environments. 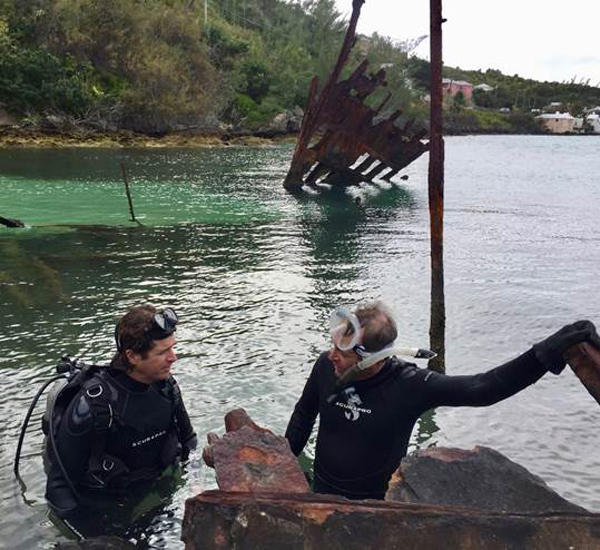 Brown later spent three days in Bermuda with local project PI and Custodian of Historic Wrecks Dr. Philippe Max Rouja, where he experienced the shipwrecks in person, “demonstrating the promise of this new and developing technology,” said Rouja. 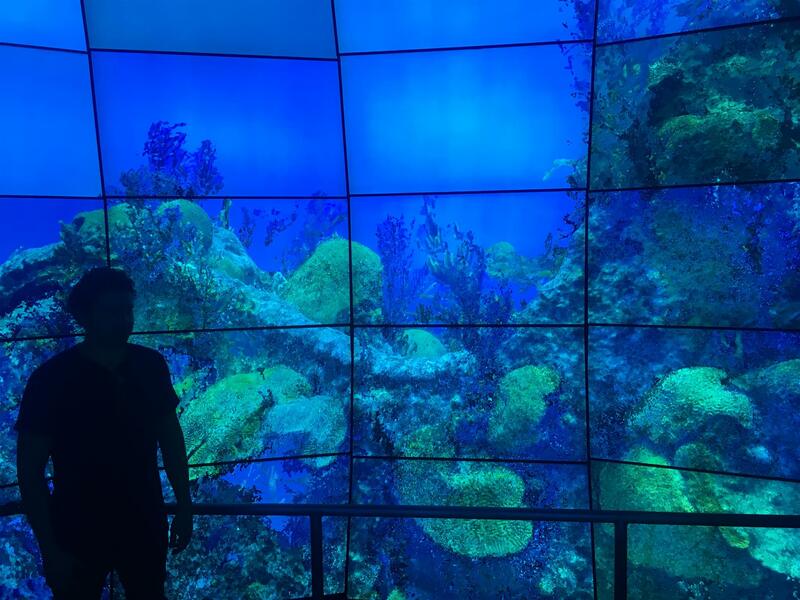 “The vision behind the Bermuda 100 Challenge is to create the science, technology and engineering foundation needed to scale the documentation of submerged cultural heritage up globally. Given that there are millions of shipwrecks, while hundreds of thousands are considered archaeologically significant, there is a lot more to be explored, discovered and preserved,” added Kuester.